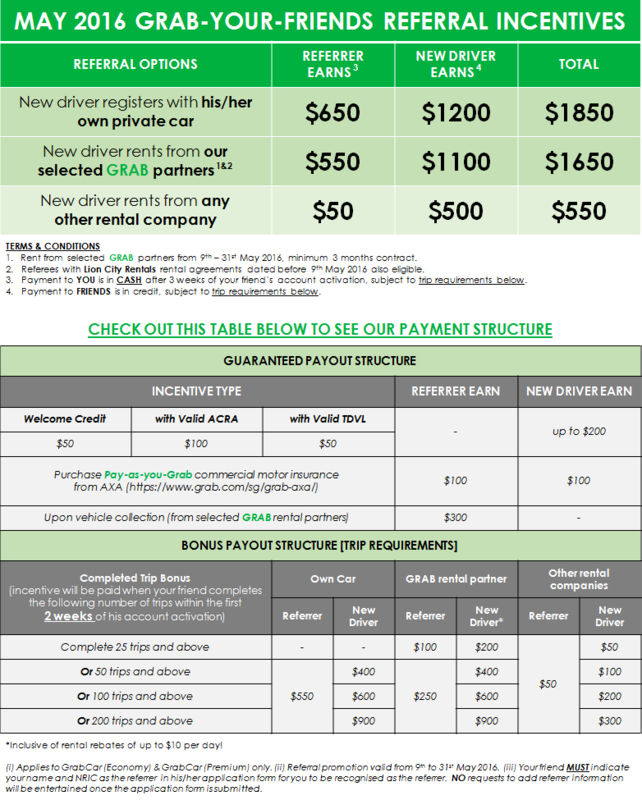 GrabCar Guarantees you up to $38 per TRIP on Weekday mornings, awesome Twilight incentives & $1850 worth of referral incentives! 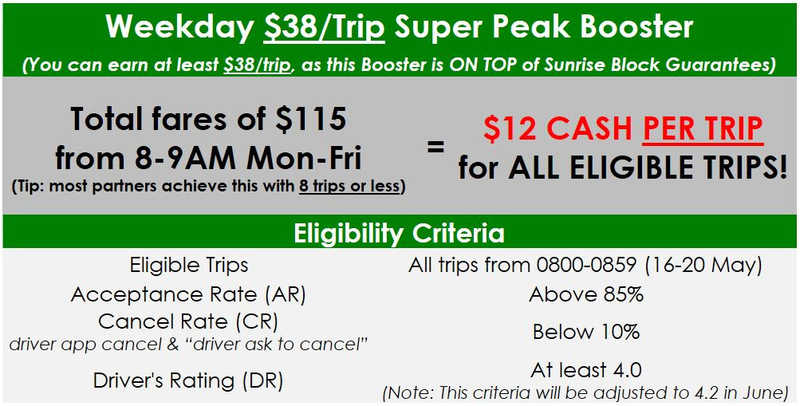 Special Promo: $38 PER TRIP for Weekdays 8-9AM! Weekday mornings are the best time to earn with GRAB! 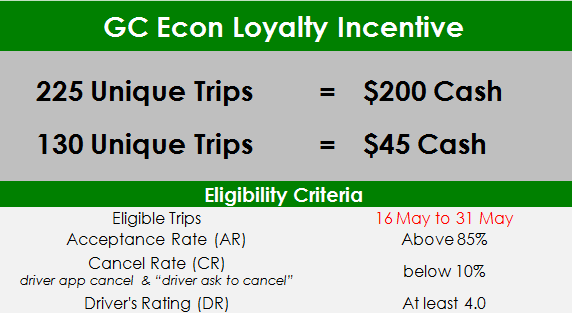 Collect at least $115 in fares during 8-9AM (Mon-Fri) & earn extra CASH of $12 PER TRIP! 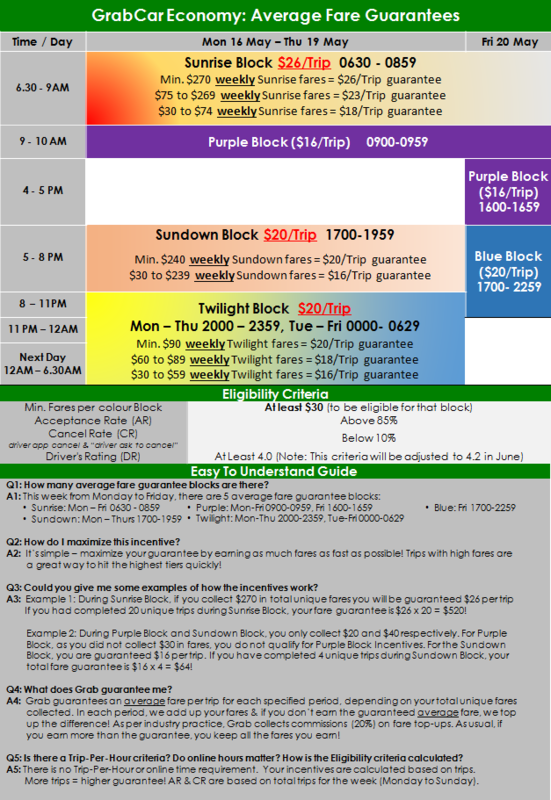 Together with our Sunrise Block (up to $26/trip), you could be guaranteed at least $38/trip! 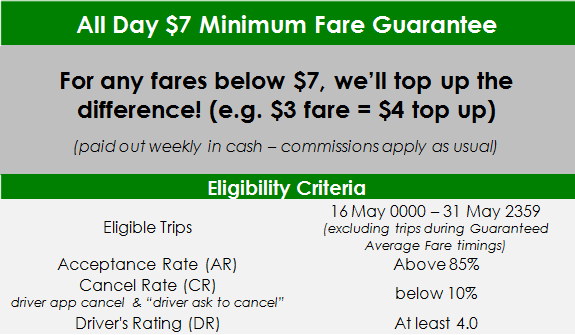 We have extended our Minimum Fare Guarantees!